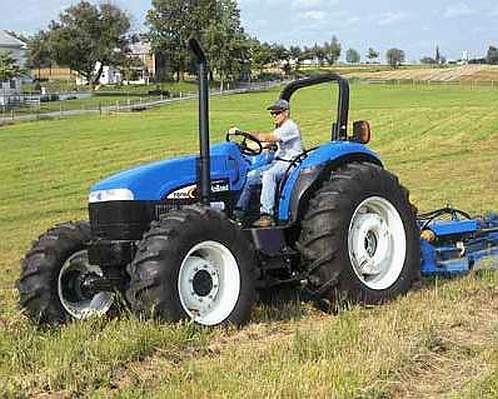 Properly mowing a pasture, field, or complex lawn area takes skill and experience. It requires good mowing equipment, an eye for detail, and awareness of safety. From mowing large lawns to cutting fields and pastures to clearing hedgerows, Arcadia Mowing is the professional's choice in Wayne County. For the average property owner, ditch mowing can be highly problematic. 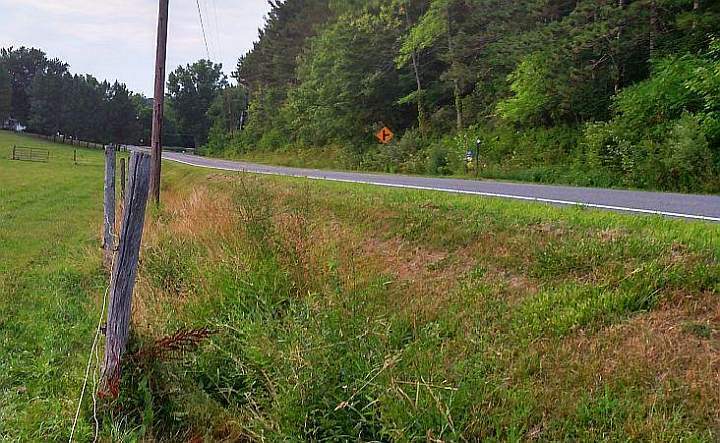 Cutting just the roadside edge can be tricky, especially if there is a steep grade. Obstacles such as poles, road signs and obstructions can compound the complexity. Mowing growth in and around the ditch itself requires special equipment and mowing skills. Arcadia Mowing has both the equipment and the experience to safely and professionally accomplish this task. Our articulating mowing apparatus adjusts to any terrain, removing growth both within and around the ditch. The finished job illustrates the spectacular difference. Runoff can now move freely in the ditch without obstruction or blockage. This is merely one example from the hundreds of mowing tasks Arcadia Mowing has performed in and around the area. Let us help you clean up your property! A good mowing job stands out. Most of our mowing work comes to us through word of mouth referrals, so customer satisfaction is very important to us. That's why we follow a well-tested procedure when we first meet with any mowing client. Before we begin, we'll go over the mowing job and address everything that needs to be done. We'll let you know immediately if a problem arises. Afterward, we'll review the work together to insure your expectations have been met. We'll make sure that everything is as it should be before you sign off. 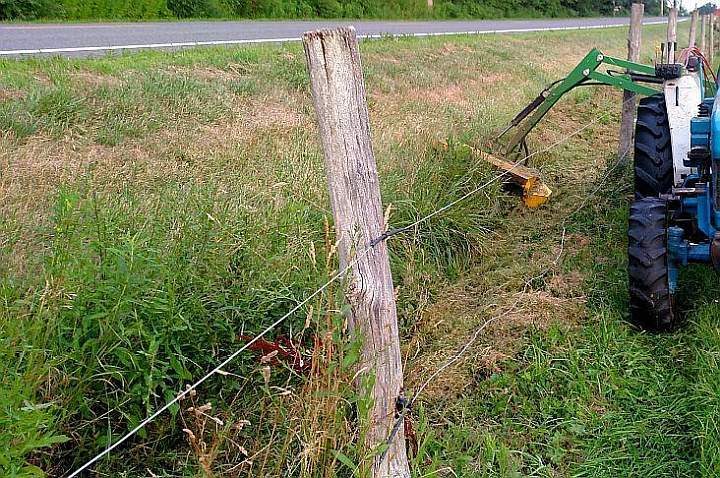 Some of our mowing calls have involved fixing someone else's bad job. That's a poor way for you to have to spend your money. You can count on us to be professional, courteous, and conscientious. We will speak with you directly and find out exactly what you need. We'll respect your property, clean up afterwards, dispose of clippings, and move things back where they belong. In short, we'll do our utmost to leave no trace of ever having been there -- and leave behind a quality mowing performance. And, we'll do it all at a very competitive price. If you'd like a free estimate before we begin, we're glad to give it. If you'd like to work with us on a long-term basis, we offer substantial discounts for seasonal work. 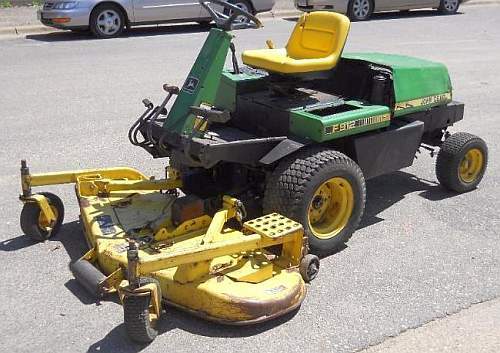 Our mowing equipment is professional-grade and always well-maintained. 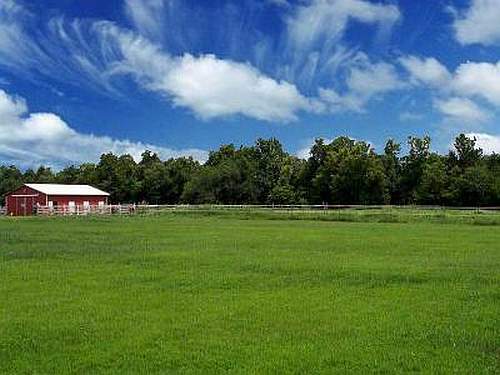 We handle mowing work ranging from residential to ag-specific tasks like cutting new pastures and clearing hedgerows. 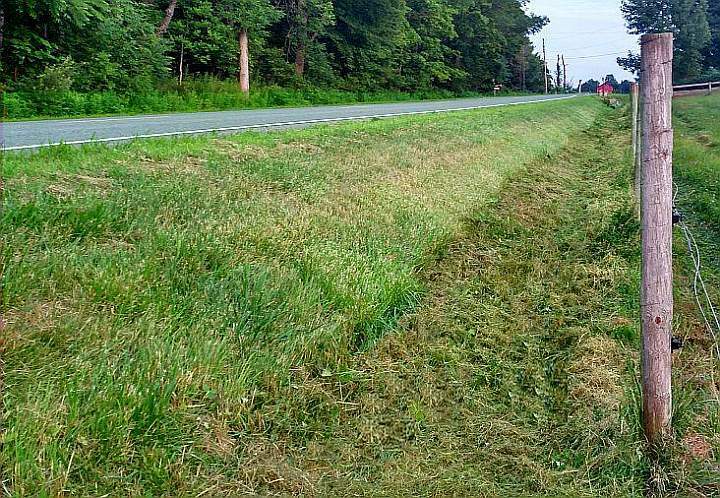 We also handle commercial work such as cutting medians and roadsides. We can also combine digging, cutting, hauling and loading to suit your requirements.